The model requires you to put the title of your entity at the top of the first page then, below that, give the title of the project. It should give the reader an idea of the subject even before reading the whole content. 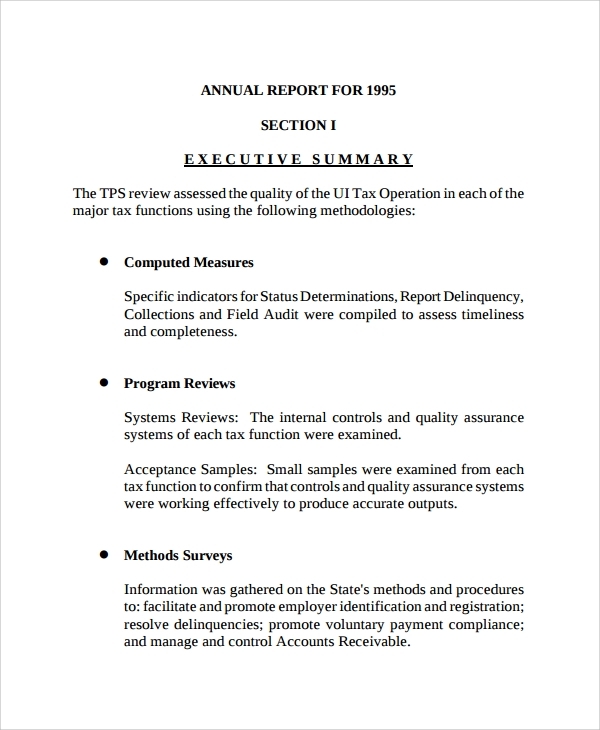 After that, include an executive summary which gives points on why you are creating the report, the observations made in your investigation, and your recommendations regarding the issue in the report (if any). A table of contents should follow listing the various specific aspects you want to elaborate on your story. From there, you can proceed with expanding your information in the paragraphs. Finally, the model requires you to conclude by stating the actual findings in your report and the references to your information. The model starts by declaring the name of the subject that report is going to be covering. The heading should also indicate the year the report will be about. Next, it requires you to state the date the report gets published. The body of the report should follow and it should cover all the details of the subject in the report. 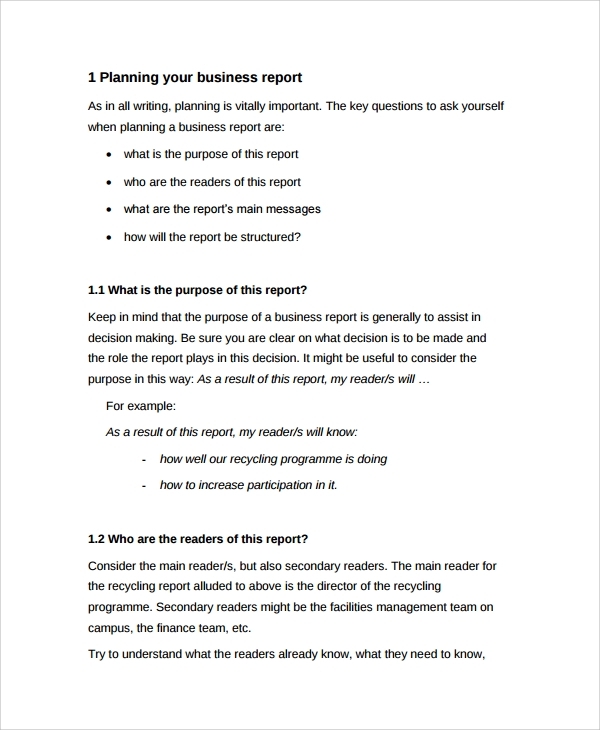 Like the business report outline template, the findings and discussions of your report should come in last, and perhaps a list of recommendations that you have over the issues handled in your story. The model should state the subject getting assessed. The names of the ones who have prepared the report can come in second alongside any other relevant information before giving the actual body of the report. 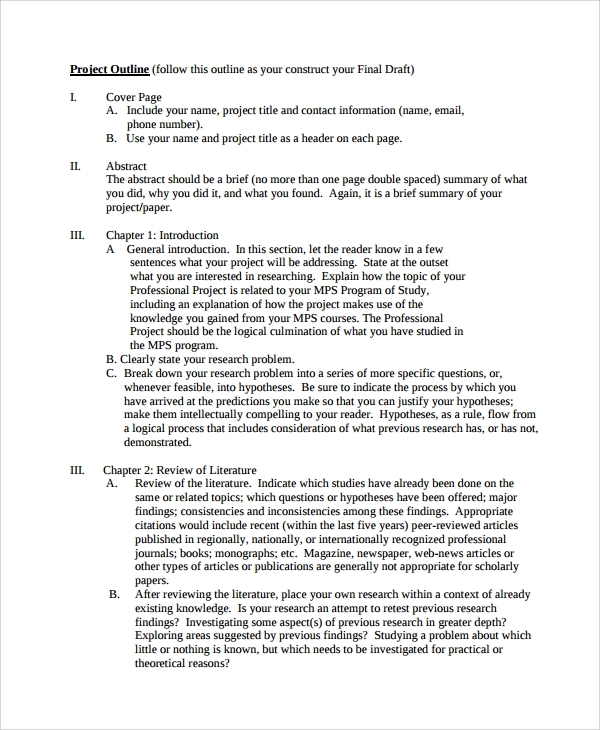 After that, the template requires you to have a table of contents which, after listing, you break down and lay out information of particular subjects of the issue. Finally, it requires you to list the sources of the information you put in your report. 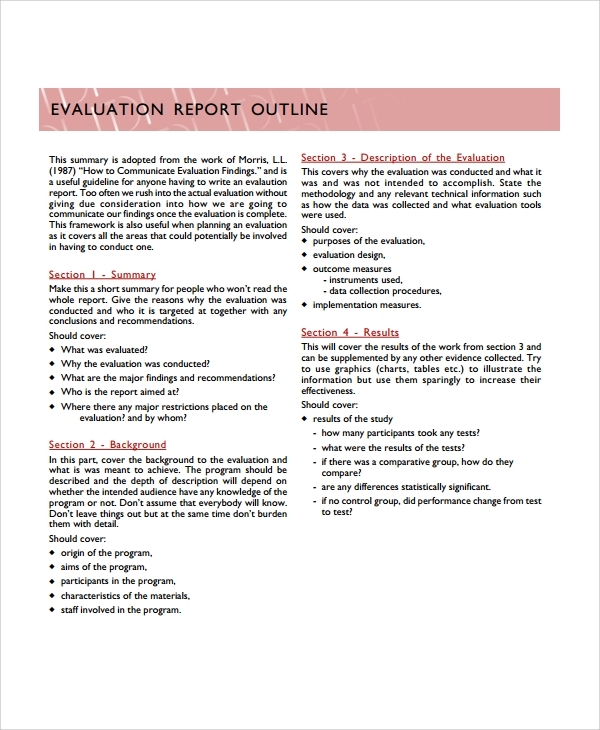 The cover page of the model should include the name of the one preparing the report and the title of the project. Personal information of the one writing the report should also be listed. 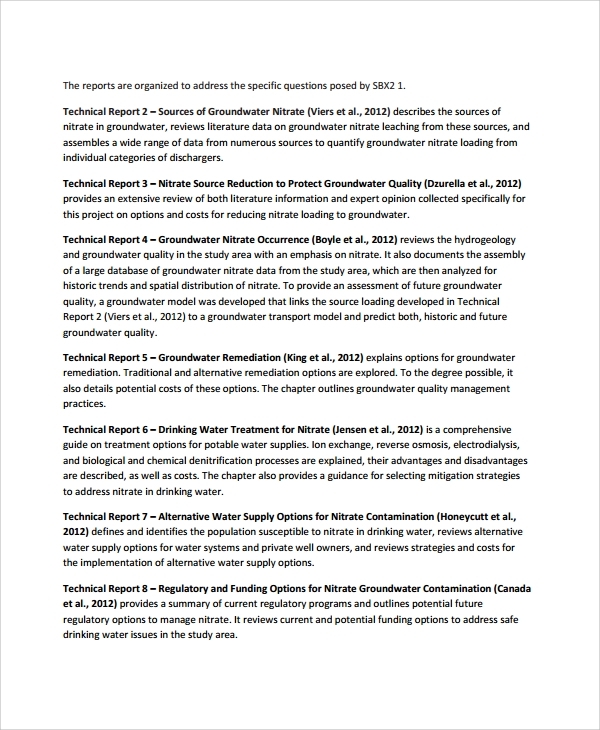 On each page of the report, the name of its author and the project’s title must be jotted at the top. The body should follow commencing with an introduction that gives the reader an idea of what subject your report will be covering. 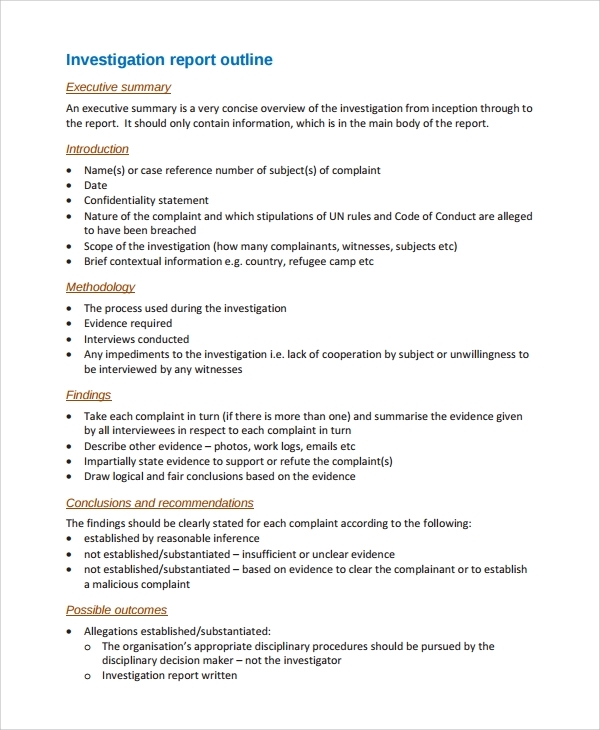 After elaborating all you have in your report, the template requires you always to conclude with a discussion and a list of the sources of your information. 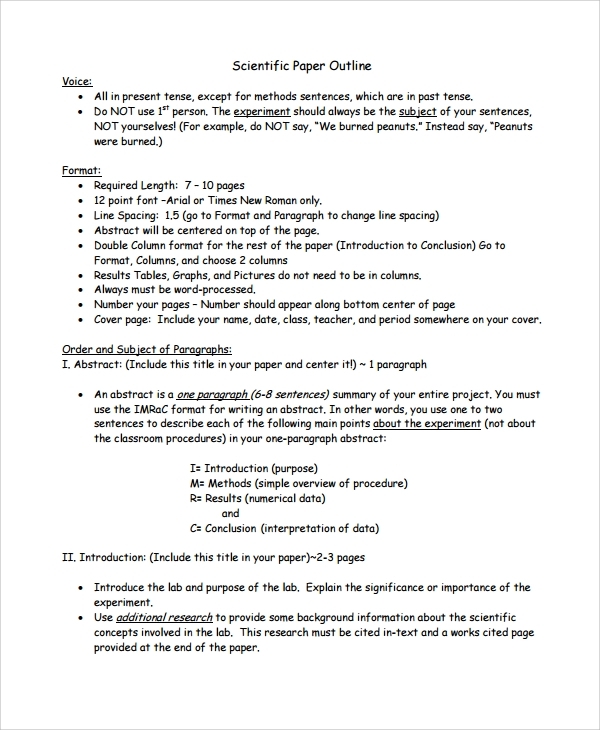 What are the Advantages of Having a Report Outline Template? How do I Make My Report the Best for My Readers? 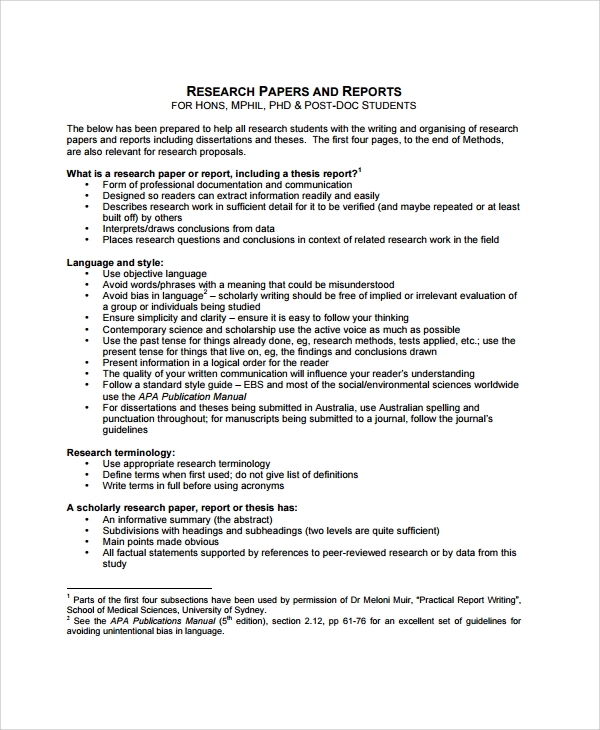 How Have we Made Our Report Outline Templates Effective for You? We make sure they are worked on by the most talented experts available. In fact, a vetting is done on them to prove that they are truly experts in specific fields. We also make them editable for you to do any modifications you would like on them and printable to have the privilege of making the number of copies you want. The designs on them have to be carefully worked on as per the different types of reports to help you construct the most useful one possible. Our templates are affordable and always available. We have a customer care team which always stays alert to attend the clients who need to make particular inquiries. If you need a completely different template from the ones we offer, our experts are always available; all we do is connect you to them so that you may explain them what type of model you want. 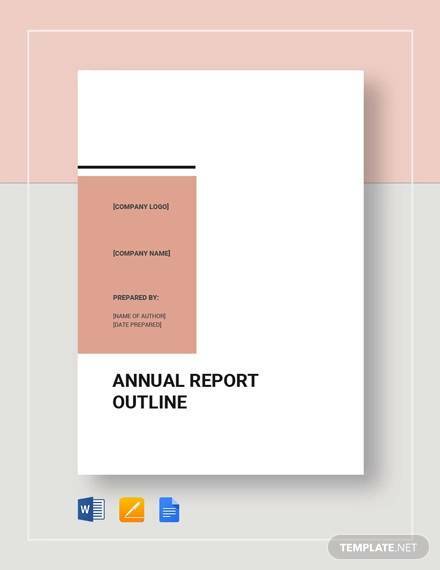 Catch the eyes and minds of your readers with help from our report outline templates.